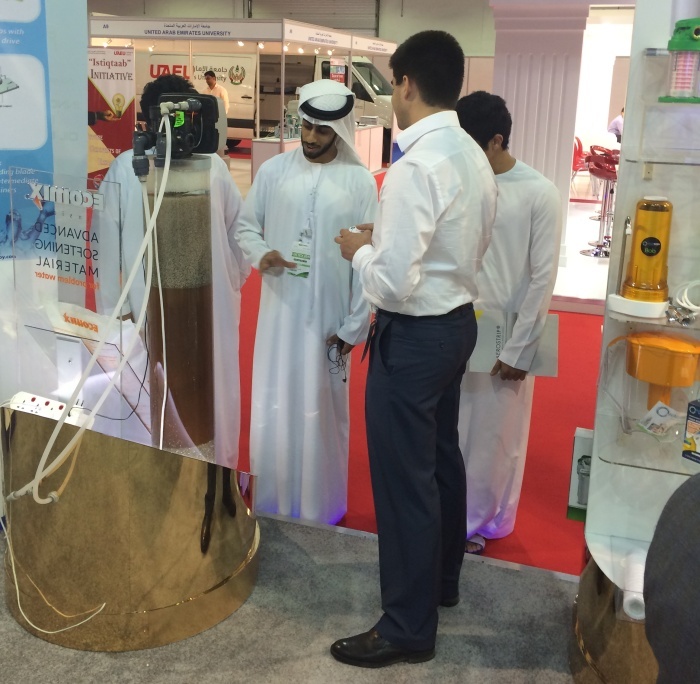 Ecosoft took part WETEX Dubai 2015 from 21th till 23th April 2015. WETEX is the region’s most prominent trade show organized by Dubai Electricity and Water Authority. WETEX event attracts major companies and organizations, thousands of exhibitors and visitors as a meeting point for experts and specialists. 1,500 exhibitors from 42 countries including UAE, Saudi Arabia, India, Oman, Kuwait and others took part in WETEX Dubai this year. 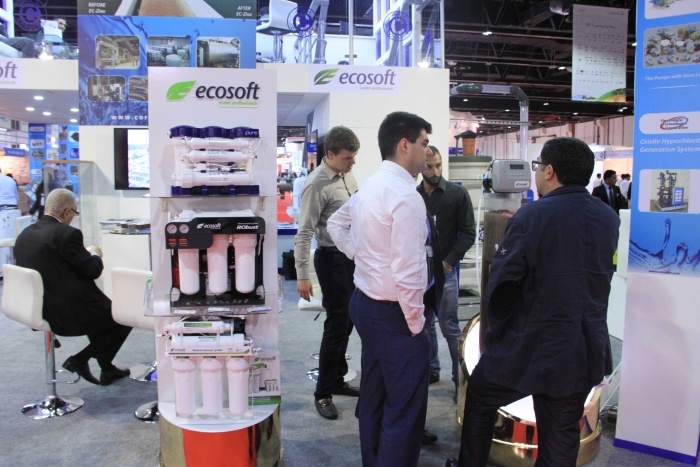 In line with the region’s emphasis on desalination technology, Ecosoft presented its copious range of reverse osmosis products from domestic RO filters to large capacity commercial machines. RObust, a new type of high capacity compact RO system was created to meet the need in pure and safe drinking water in cafes and restaurants. Ecomix, the Ecosoft’s advanced softening material sparked great interest with guests of Ecosoft booth. Ecosoft booth visitors noted excellent quality and appealing design of Ecosoft products. A number of enterprises stated a desire to do business with Ecosoft and used the opportunity to have commercial and technical talks with Ecosoft representatives.